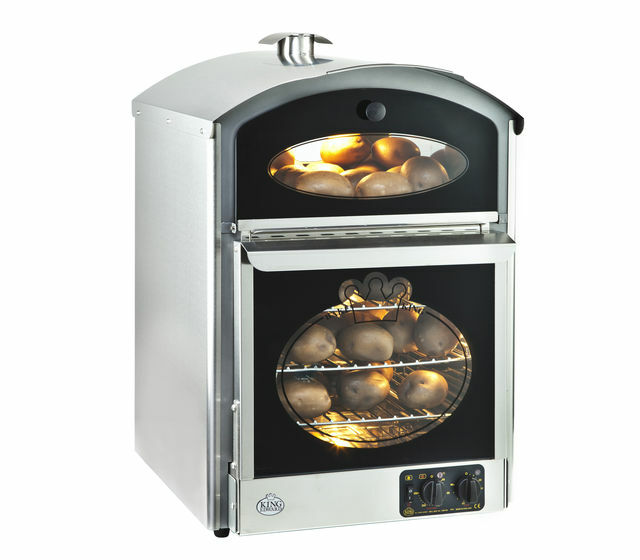 High performance convection oven for thorough and flexible cooking. Suitable back bar or counter top. 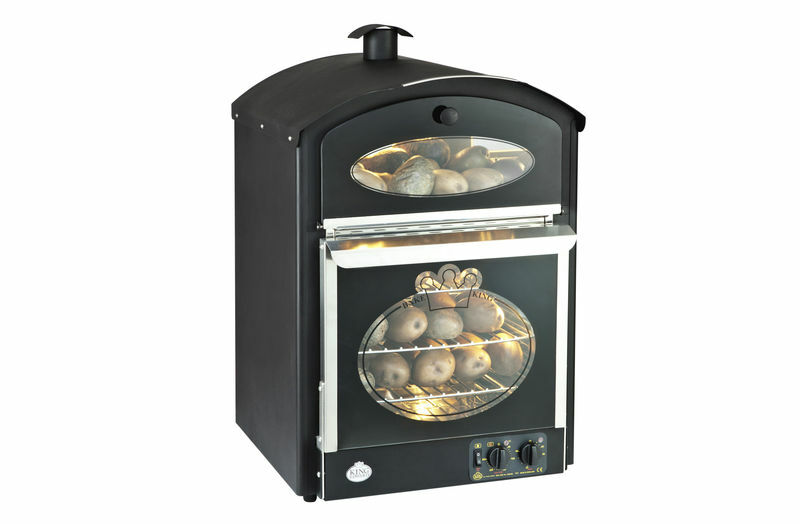 Cooks up to 60 potatoes in approx 50 minutes. 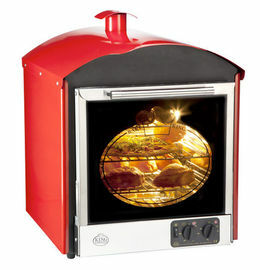 Cooks a variety of other foodstuffs to an equally high standard. Both the main oven and storage area are illuminated during cooking. Built-in, wipe clean glass menu board - useful when used as a counter top. Supplied with 3 wire trays - baking sheets available as an option. Easy clean interiors including removable serving trays. 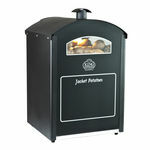 Choice of black powder coated finish or stainless steel finish. 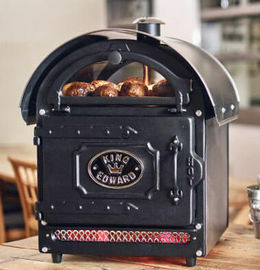 Probably the most astounding value for money oven ever to be produced by King Edward. 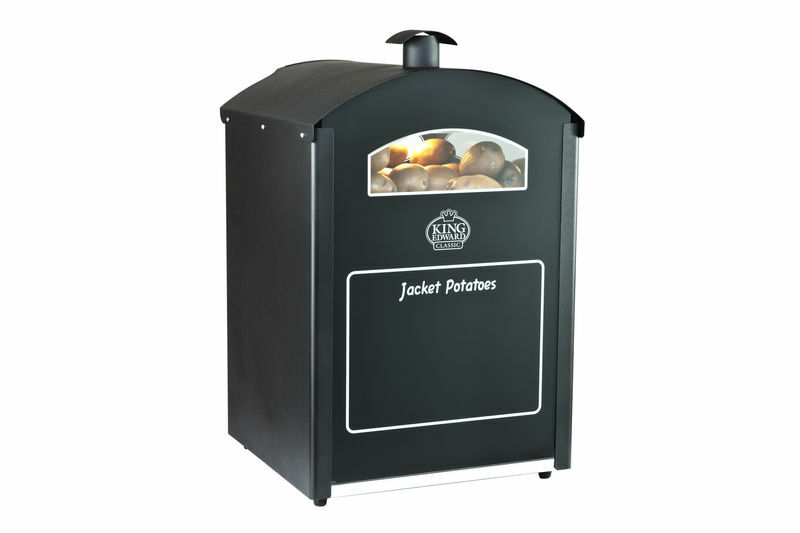 With a huge 120 potato capacity, the Bake-King gives you the whole package: great looks, incredible performance, high levels of reliability, 100% UK designed & built – and all at an astonishing low price. 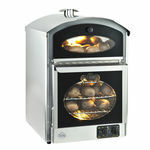 It’s such exceptional value for money - there simply isn’t another traditionally styled oven on the market to match it. 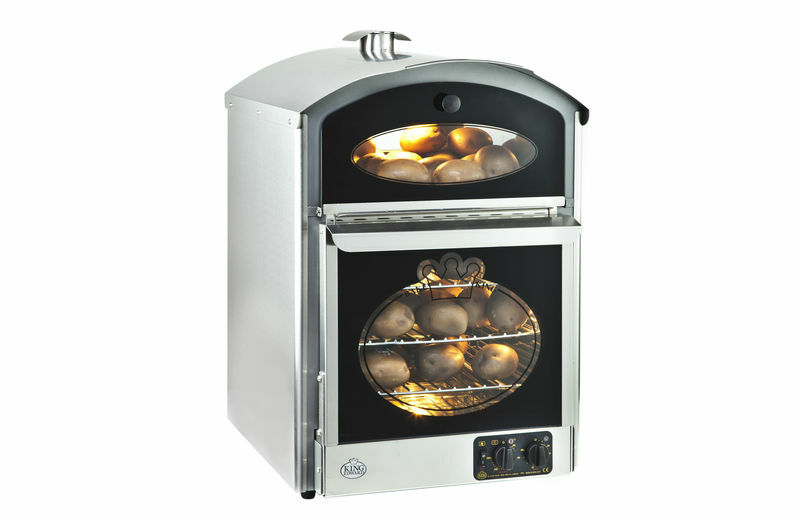 Fully designed & built in our own factory in the UK, the Bake-King oven uses King Edward’s highly acclaimed convection oven technology to deliver outstanding performance & efficiency. 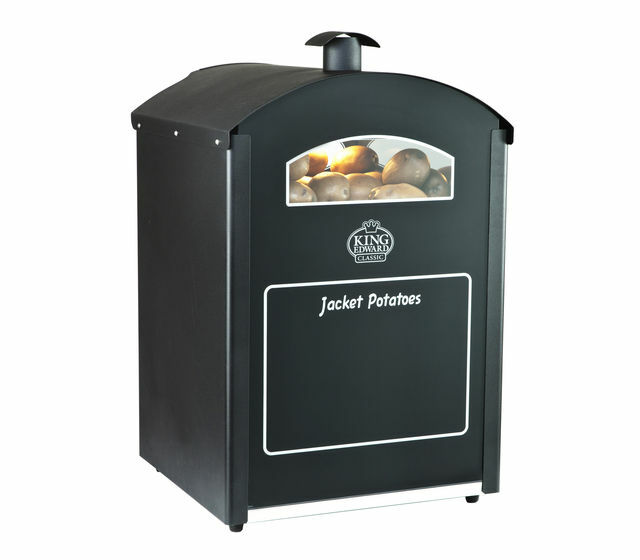 And because it’s built to the same high standards as all our other models, only using the best of breed components & materials, you get our tried & trusted product quality & reliability. 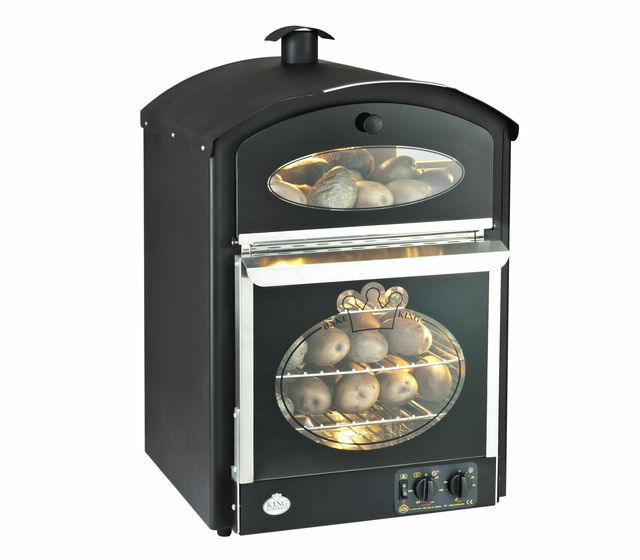 The Bake-King is simple to use – no specialist skill or training required – and is perfect for cooking and holding a wide range of food products such as baked potatoes, pastries, pie, bread products plus much more. 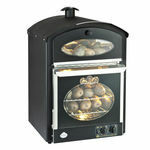 Perfect jacket potatoes every time, or croissants, bread rolls, pasties – whatever you want to cook. 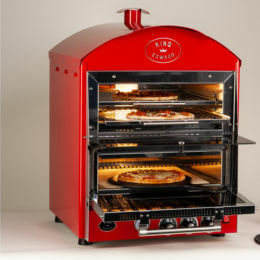 For a 360 degree view of the Bake King Oven go to our King Edward Youtube Channel. Small footprint - just 510mm x 510mm.